How to make an effective Weekly Time Sheet Registration Form? Check out this Weekly Time Sheet Registration Form directly! Afterward, you can collect this form and register the data into your HR application. 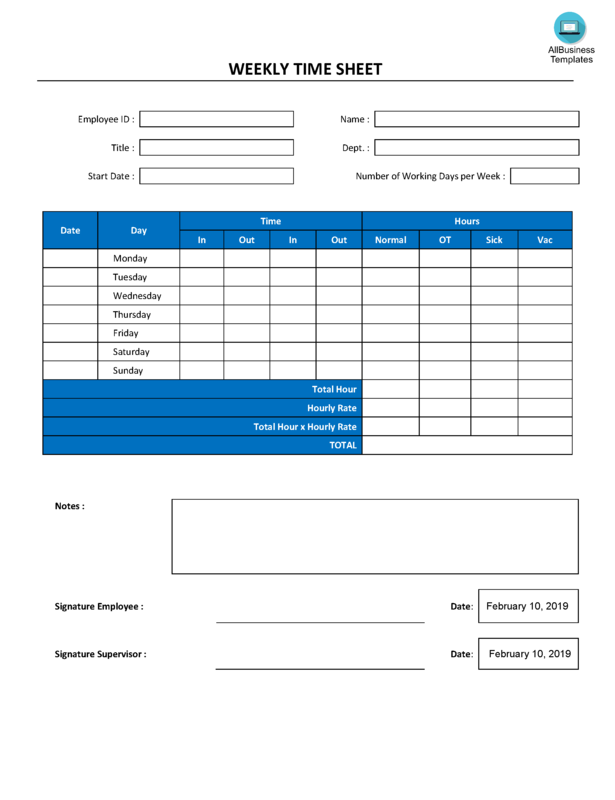 Download this Weekly time-sheet registration form template and after downloading you can craft and customize every detail of its appearance very quickly.